Storytime with Komal Singh - "Ara the Star Engineer"
Komal Singh reads Ava the Star Engineer for a special storytime. About the Book: An inspiring, inclusive and whimsical way to learn about computing and technology! Ara is a young girl who loves BIG numbers. She wants to count all the stars in the sky… but how? Ara and her sidekick droid, DeeDee, tinker-and-tailor and build-and-fail their way through a whirlwind of intriguing locations, encountering real-life women tech trailblazers of diverse backgrounds along the way — all in search of an amazing algorithm! About the Author: Komal Singh is a techie by day and a storyteller mom by night - one who loves coding and cupcakes, data crunching and day dreaming, pottery making and program planning. She has been working in technology for over a decade and is currently an Engineering Program Manager at Google. 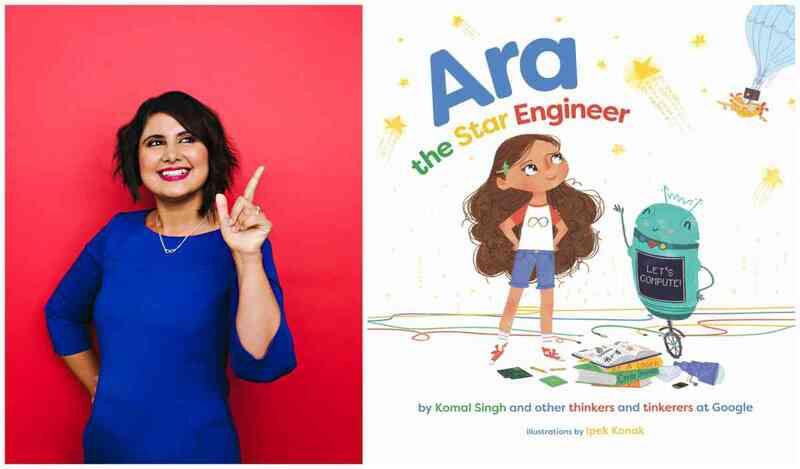 Singh is debuting as an author with the upcoming release of a kids’ picture book on STEM titled Ara the Star Engineer. She grew up in India and studied Computer Science at Delhi University and later moved to Canada to complete her Masters’ degree in C.S from Simon Fraser University. She lives in Waterloo, Canada, with her husband and two little kids. This is a STEM book and more! An inspiring, inclusive, whimsical way to learn about computers and technology from real-life trailblazers.